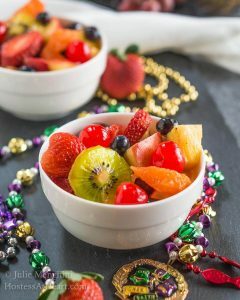 This boozy Hurricane Fresh Fruit Salad makes the perfect accompaniment to your Mardi Gras party or any meal worth celebrating! What better way to celebrate Mardi Gras than with a Hurricane? If you answered Hurricane Fresh Fruit Salad, you would be correct! You would also be the hit of the party. Mardi Gras will soon be upon us and I just can’t let a celebration go by without raising the proverbial mug and declaring Cheers! Instead of a mug, I’m raising the Hurricane Fresh Fruit Salad bowl. When I put it together, I wanted the bright colors that represent Mardi Gras. This salad is fresh, naturally sweet, and a little boozy. 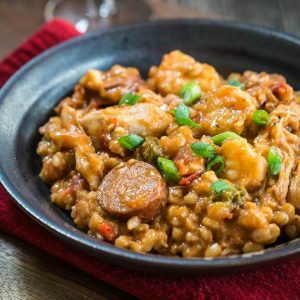 It would compliment a jambalaya, gumbo, or other savory dishes perfectly and would be a hit at any celebration. 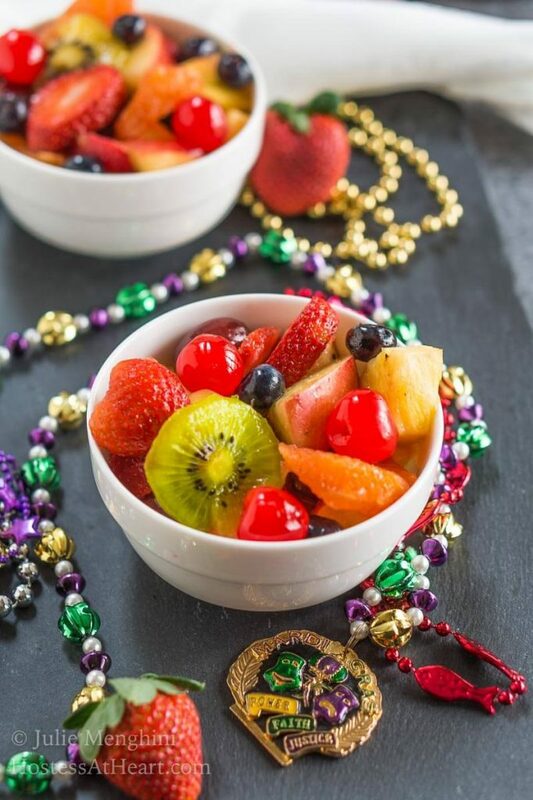 A Hurricane Fresh Fruit Salad makes the perfect accompaniment to your Mardi Gras party or any meal worth celebrating! In a small sized bowl mix rum, orange juice, lime juice, and honey. Cover and allow to chill for at least 30 minutes. Stir and garnish with Maraschino cherries before serving. Liquid can be drained from fruit after marinating if desired. The longer it marinates the stronger the rum flavor. 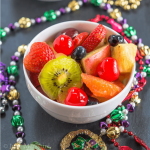 You can, of course, leave out the booze and it will still be a delicious salad but I hope you will join me in celebrating Mardi Gras this year by raising this boozy Hurricane Fresh Fruit Salad bowl too! Cheers! 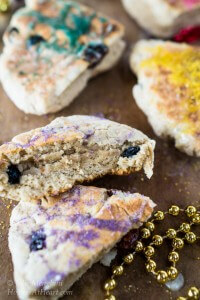 Here are a couple more recipes perfect for Mardi Gras! 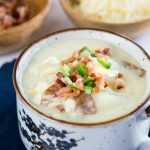 It’s always fun to share so let’s head over to Fiesta Friday! Thank you! We really enjoyed it and I hope you’ll stop back and let me know what you think. 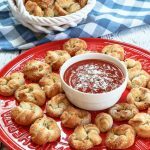 Yum, such a great idea Julie! There is no better way to celebrate! Thank you Lily! We really enjoyed it and I joked about the breakfast smoothies that it would make the next morning. Thank you Mollie LOL! I’m raising the proverbial fruit bowl to you! Cheers! Hi Ana! Is there anything that we can’t put a little booze in LOL? LOL! Thanks, Judi! Just think of the breakfast smoothie you could have the next day? Thank you, Sonal! 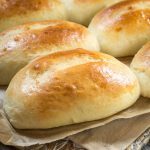 It was fun to make and yummy to eat. This looks very festive and colorful! I agree–we do look for any reason to celebrate and that is a great thing! Cheers and have a great weekend! Thanks, Jenny! I’m with you, just give me a reason to celebrate LOL! What’s not to love about drunk fruit 😉 Looks great! Thanks, Sarah! 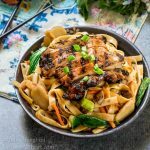 It was a fun dish to make and eat. Ha-ave mercy! Now you’re talking’ Julie! That really does sound delightful — especially since it’s been such a mild winter. TGIF and happy Mardi Gras. Mega hugs. Thank you, Teagan! I guess I just look for any reason to celebrate you know? Big hugs young lady! LOL. I do that. Sometimes, if I can’t think of any other excuse, I buy a bottle of Spumante and celebrate Thursday! Ohhh Teagan…Spumante fruit salad! I love it! 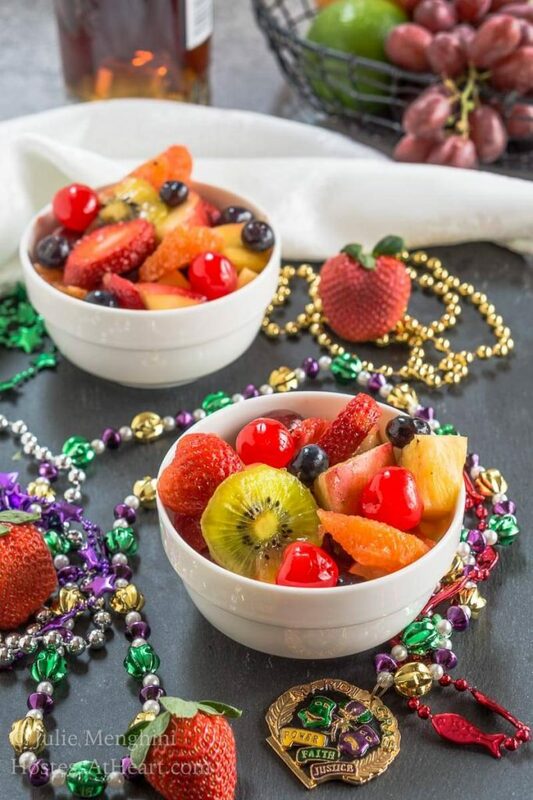 Boozy fruit salad?! Yes, please! What a great way to spruce up the classic fruit salad. Thank you Mara! Any reason for a party right? 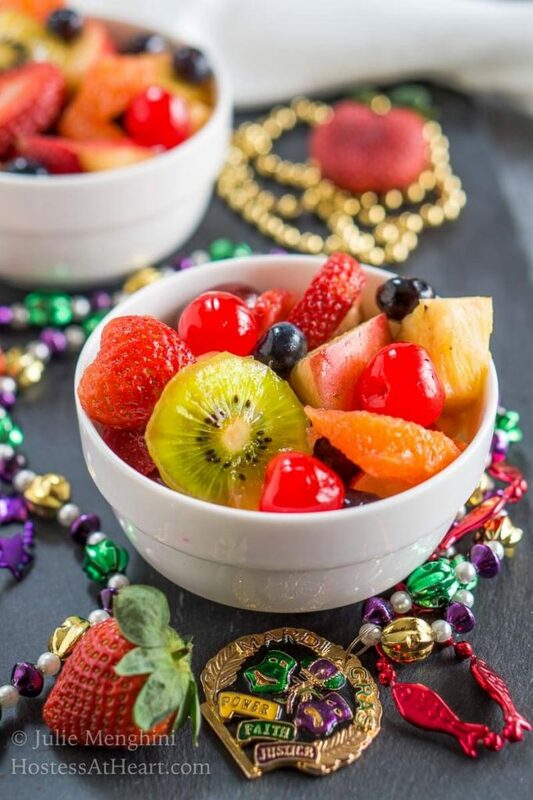 Fruit and rum…count me in! 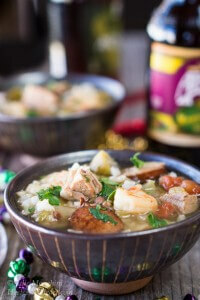 Wonderful idea for a Mardi Gras party, thank you for sharing your recipe! Thank you, Becky for stopping by and leaving such a sweet comment! Cheers! LOL it’s just fruit right? I should have put it in a margarita glass!